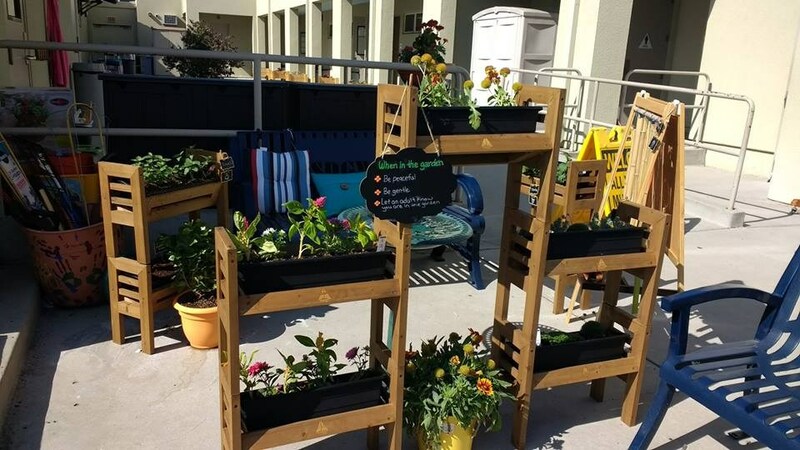 The SDGVA garden is used as an outdoor classroom as well as a place for students to connect with the outdoors and participate in the school community. As part of our STEM program, we use the garden to study life sciences including life cycles of plants and insects and plant structures. We are always finding new and exciting ways to integrate our school garden into our science curriculum. Some upcoming projects will include planting native milkweed and tracking the migration of the monarch butterflies as well as reducing food waste through worm composting. 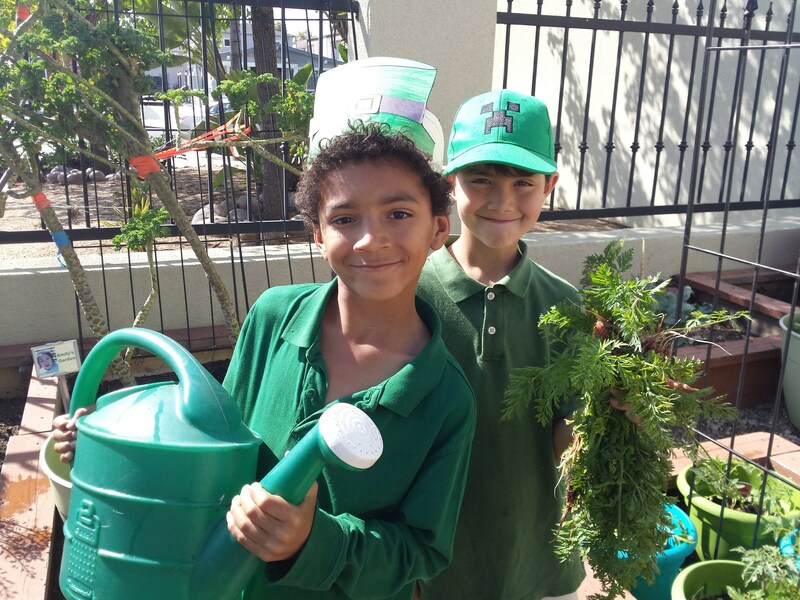 Another important aspect of out garden is the opportunity for our students to connect with the therapeutic and restorative benefits of gardening. Several studies have shown that gardening helps to relieve anxiety, decrease stress, and improves concentration. 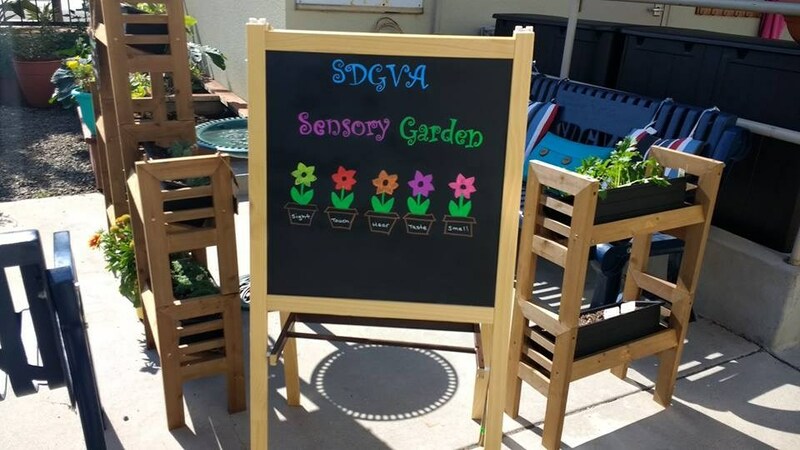 SDGVA students have created a sensory garden for students to explore and enjoy. 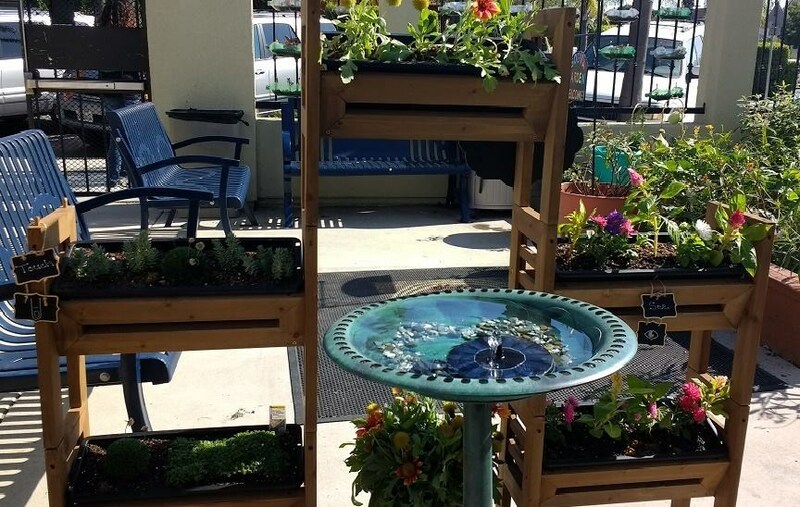 The sensory garden is used by students as a calming place to stimulate the senses. Sensory gardens can also make a great contribution to emotional and physical health. Plants and other elements are selected with the intention to provide experiences for seeing, smelling, hearing, touching, and tasting as well a space to relax, reflect, meditate, contemplate and talk. This type of environment is a place to feel safe and comfortable in exploring the five senses without feeling overwhelmed by them. Create a school garden and composting program that is educational and has therapeutic benefits for students. Use the garden and worm composting as a hands-on teaching tool for STEAM education and Science Lab. Give students the opportunity to practice resilience, patience and make positive contribution to the school community.